Note that the quoted paragraph refers to three footnotes. The first of them, note 27, mentions the following sources for cremations at Treblinka in August and September 1942: "Krzepicki, ‘Eighteen Days in Treblinka’, p.92; Eddi Weinstein, Steel Quenched in Cold Water, The Story of an Escape from Treblinka, Jerusalem: Yad Vashem, 2001, online excerpt under http://www.zchor.org/losice/weinstein.htm#treblinka; deposition of Samuel Rajzman on 26.09.1944, quoted in M&G, Treblinka, p.141f.". The second, note 28, is a comment about the witness Rajzman’s depositions, which will be addressed below. The third mentions the following sources for cremations in the months October, November and December 1942: "Strawczyinski, ‘Escaping Hell’, pp.129 ff. ; Glazar, Trap With A Green Fence, p.29 f.; Mendel Korytnicki, 23.09.1944, GARF 7445-2-134, pl.57ob, quoted in Sergey Romanov, "The Clueless Duo and early corpse incineration in Treblinka and Belzec" (http://holocaustcontroversies.blogspot.com/2010/01/clueless-duo-and-early-corpse.html)”. So the differences between the first and second of Rajzman’s depositions quoted by Mattogno enhance rather than reduce the witness’s credibility. As soon as we came to Treblinka, we could smell the stench of tens of thousands of corpses. When I arrived, the Germans weren’t cremating the corpses; they were burying them, tens of thousands of people in ditches. They later figured that burying the victims was not such a good idea, because someday those ditches would be dug up and what had gone on there would become known. So they made these fires with grates and they brought steam shovels. They dug the dead out of the ditches and loaded them on the fire, where they burned 24 hours a day. The Germans poured oil on the corpses and oil underneath, and the fire burned continuously. is not really a new version, but rather a juxtaposition of two different periods, one in which burial (despite partial cremation of corpses in mass graves, namely at the Lazarett) was the camp’s essential body disposal method, and another in which the previously buried corpses were disinterred and cremated. In reality it is more likely that the witnesses "mixed up" mere propaganda stories, the same as he did with the claims regarding the pumping out the air ("Auspumpen der Luft") and "chlorine gas and Cyklon gas [Chlor-Gas und Cyklon-Gas]." Needless to say, Mattogno’s spiteful (or shall we say frustrated?) bitching doesn’t explain where Rajzman is supposed to have got his "propaganda stories" from and/or why on earth a purveyor of "propaganda stories" (as opposed to a traumatized witness struggling to provide as accurate a picture of events as his fallible memory permitted) would mix up the same instead of keeping his story straight,. So much for Mattogno’s attacks against Rajzman’s testimonies regarding cremation. Now, what about the witnesses whose testimonies I had referred to regarding corpse cremation in October, November or December 1942? One overcast November afternoon, flames leap into the sky from behind the sandy rampart and immediately spread. We catch sight of this enormous fire-spewing stage as we are marching down to evening roll call. Our bowls in hand, we hang out around the kitchen, illuminated by the dark red glow beyond and by light mounted on the barracks above us. "They’re starting to burn the corpses." "There’s not enough room to bury them." "They want to get rid of every trace." Rumors spread with lightning speed through the camp, even before we reach our barracks. Robert is the last to crawl up into his bunk. "It’s not all that easy to burn so many bodies, and especially not on an open fire like that." He continues: "Bodies don’t really burn that well. They burn very poorly, in fact. You have to build big bonfires and put a lot of kindling in among the corpses, and then douse the whole thing in something very flammable. They’ve already had to do some trial runs." The bread sacks lay where they’ve been thrown, unopened. Everyone’s eyes turned from the bunks to the few small barred windows in the barracks. Beyond the windows, red flames have spilled across the sky, coloring the entire night dark red, then orange, and finally wafting away in sulphury smoke. Muehlenkamp therefore quite arbitrarily introduces "cremations in the months of October, November and December 1942" which are not attested to by any witness. a) Cremation for hygienic purposes can be ruled out because "any carbonization of the surface layer of corpses in the graves would, needless to say, not have prevented the decay of all those below". b) Cremation attempts in the period from 24 August to 27 September 1942 could bear no relation to the Ortskommandantur Ostrów’s complaint about the stench of insufficiently buried corpses in Treblinka, recorded on 24 October 1942.
c) An endeavor to stretch burial space or shortage of the same can also be ruled out ("merely a ridiculous excuse") as a reason for cremation, because burial space was not lacking at the Treblinka site ("From Muehlenkamp’s viewpoint this is all the more foolish because he supposes that the mass graves could contain "19.51 (20) corpses per cubic meter." (p. 418), from which follows that the mass grave described by Wiernik, measuring 100 × 25 × 15 = 37,500 m3 (cf. Chapter 8, point 97), could hold (37,500 × 20 =) 750,000 bodies – the vast majority of the alleged Treblinka victims! – in an area of a mere 2,500 square meters, while the total area of the camp amounts to 13.45 hectares2482 or 1,345,000 square meters."). As concerns argument b), the complaint by the local Wehrmacht commandant in Ostrów recorded on 24 October 1942 may have been unrelated to cremation attempts in the period from 24 August to 27 September 1942, but it is likely to have been related to the attempts at wholesale cremation starting November 1942 that were mentioned by Glazar and Korytnicki – which is why Mattogno kept silent about these witnesses. As concerns hygienic purposes, carbonization of the surface layer of corpses in the graves may not have prevented the decay of all those below, but the SS may have expected to create a crust that kept the effects of decomposition, i.e. stench and disease-causing germs, mostly below ground, in an endeavor similar to that undertaken by pharmacist Creteur at the Sedan battlefield in 1871. Whether either endeavor achieved the intended results is another matter. As concerns space, the comparatively little reduction of the corpse volume by burning the upper layers of bodies in the graves (as described by Krzepicki and Weinstein) would have been an added benefit of the procedure rather than the reason why it was undertaken. In this context, it is amusing to see Mattogno, who elsewhere argues against the sufficiency of available burial space at Treblinka, holler that space to accommodate hundreds of thousands of corpses was not lacking at the Treblinka site. All the more so as Mattogno tries to bring home his point with a straw-man, an obviously much exaggerated claim made by eyewitness Wiernik, who in his 1944 account about the camp provided more realistic (though probably still somewhat exaggerated, namely as concerns the depth) measurements for the pits in the camp’s reception area into which the corpses of deportees dead on arrival were thrown in the initial phase of the camp’s operation: 50 by 25 by 10 meters. Due to the sloping of the walls required to prevent the pit from caving in, such a pit would have a volume of 8502 m³, according to Alex Bay. At the initial concentration of 10.7 corpses per cubic meter that I am now considering for Bełżec, such a grave could (without considering grave space recovery due to the corpses’ loss of volume during the decomposition process, namely loss of leachate seeping into the soil in the first two months after burial) have accommodated about 91,000 corpses. As Bay points out elsewhere in his reconstruction of Treblinka, graves this large would have taken weeks to complete even with mechanical excavators. And as Peter Laponder’s map reproduced on p. 424 of the Critique shows, it’s not like Treblinka extermination camp had wholly consisted of burial space or areas close to the places of killing (or to the places where dead people arrived) that could be converted into burial space. So burial space economy was an issue at Treblinka. Last but not least, Mattogno takes issue with a statement by German author Jens Hoffmann, quoted in footnote 29 on p. 445 of the Critique (the same footnote, incidentally, in which I referred to the accounts of Strawczyinski, Glazar and Korytnicki), whereby the decision to undertake an overall cremation of the corpses was also related to the OK Ostrów’s complaint on 24 October 1942. Mattogno argues that this connection "does not make any sense from a exterminationist viewpoint, because cremations are said to have commenced only about four months later, and because this event was supposedly a direct result of Himmler’s visit to Treblinka in late February/early March 1943, and perhaps even initiated on his direct order." The 3rd phase may have started in late February/early March 1943, or earlier than that. Rajchman mentions that a specialist nicknamed the "Artist" by the inmates arrived in January 1943, though his account of how the new procedure was put into practice suggests that it took some time before the "Artist" succeeded in implementing an efficient cremation system. Camp commandant Stangl recalled "the beginning of 1943" as the time when "excavators were brought in", "the corpses were removed from the huge ditches which had been used until then", and the "old" corpses "were burned on the roasters, along with the new bodies". SS Oberscharführer Heinrich Matthes, the commander of the extermination area, credited "SS Oberscharführer or Hauptscharführer Floss" with the new arrangement in which "railway lines and concrete blocks were placed together" and the corpses "were piled on these rails". Floss must have been the man known as the "Artist" by the camp’s inmates, according to Rajchman. The subdivision of cremation procedures at Treblinka into these three phases is hypothetical, and while supported by the available evidence it cannot be proven beyond a reasonable doubt. However, it is an effort to construct a narrative based on the available evidence, which is what historiography is about. Mattogno would speak of "affirmationism" if he were undertaking such effort, instead of just attacking inconvenient evidence without attempting to put together a competing narrative. Incidentally, 13.45 hectares are not 1,345,000 square meters, but 134,500 square meters. "Early" in this context means prior to the general exhumation of corpses and their cremation on pyres that began in late February or early March 1943 pursuant to Himmler’s orders, according to Yitzhak Arad, Belzec, Sobibor, Treblinka. The Operation Reinhard Death Camps, pp. 173f. The "Extermination Camps" of "Aktion Reinhardt" An Analysis and Refutation of Factitious “Evidence,” Deceptions and Flawed Argumentation of the "Holocaust Controversies" Bloggers, 2013 Castle Hill Publishers, UK, online under [link]. Also known as "The Steaming Pile of MGK Manure" ([link]), or "MGK’s SPOM" for short. Jonathan Harrison, Roberto Muehlenkamp, Jason Myers, Sergey Romanov, Nicholas Terry, Belzec, Sobibor, Treblinka. Holocaust Denial and Operation Reinhard. A Critique of the Falsehoods of Mattogno, Graf and Kues, A Holocaust Controversies White Paper, First Edition, December 2011, online i.a. under [link] and [link], hereinafter the "Critique". The mistaken notion that air was pumped out of the gas chambers may have been related to a procedure described by Sobibór Gasmeister Erich Bauer whereby "The chambers were permanently connected to the engine; the way it worked was that if a wooden plug was pulled out, the fumes went outside; if the plug was pushed into the pipe, the fumes went into the chamber.". Such procedure may also have been at the root of Rudolf Reder’s mistaken notions about the gassing process at Bełżec extermination camp, see the blog "The oh-so-unreliable Rudolf Reder" ([link]). Rolf Bender and Armin Nack, Tatsachenfeststellung vor Gericht - Band I: Glaubwürdigkeits- und Beweislehre, excerpt quoted and translated under [link]). H. Froelich ("Zur Gesundheitspflege auf den Schlachtfeldern", in Deutsche Militaeraerztliche Zeitschrift, 1872, pp. 39ff, quoted in Sergey Romanov, "The Clueless Duo…" (as previous note). See the blog ""Alleged" Mass Graves and other Mattogno Fantasies (Part 4, Section 2)" [link]. Jankiel Wiernik: "One Year in Treblinka", in: The Death Camp Treblinka. A Documentary, edited by Alexander Donat, New York 1979, pages 147 to 188 (transcription under [link]). 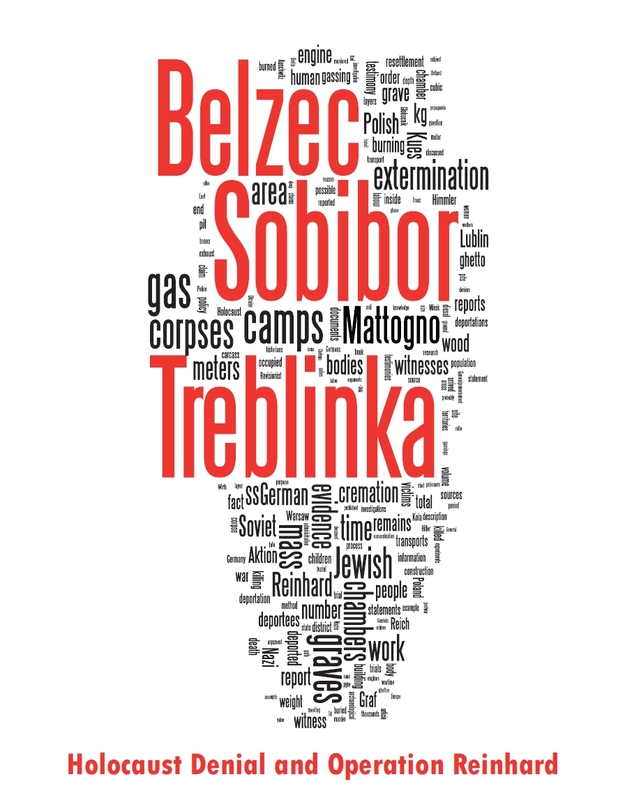 The pits in the camp’s "area of cremation", which I consider to have been the burial area (or one of the burial areas) of Treblinka’s extermination sector, were found by crime site investigations to have been 7.5 meters deep (see Critique, pp. 394-95). The pits in the receiving sector were probably no deeper. Chil Rajchman, The Last Jew of Treblinka, translated from Yiddish by Solon Beinfeld, 2009 Pegasus Books, New York, p. 84. Peter Laponder’s map of Treblinka in August 1943, shown on p. 424 of the Critique, suggests that all burial areas available in the "death camp" sector had been used. New graves could have been made elsewhere, but this would have taken time and the graves would have been further away from the gas chambers, thus delaying transportation of the corpses to the graves. Used grave space in the "death camp" could be recovered as leachate emanating from the corpses reduced their volume, but this would not solve the problem of decomposition stench. The Last Jew of Treblinka, pp. 85-88. Stangl and Matthes are quoted in Arad, Belzec, Sobibor, Treblinka, pp. 173f. I think that the best thing for Holocaust deniers to is move away from the nitpicking and prove where the Jews went if Treblinka was a transit camp. When I ask this question from deniers I'm told that "revisionists" don't need to prove this. When I reply that you have to prove your alternate historical theory I'm met with ducking and dodging. RM: In fact the witness Cymlich expressly stated that he didn’t know any particulars about the killing and body disposal process. "We kept looking out of the windows and through all the cracks with great curiosity. And there we were, passing through the Treblinka railroad station, through the woods, until, all of a sudden, we beheld a sight straight out of Dante’s Inferno. At first, I wasn't sure whether it was real or a mirage: a huge mountain of clothes, naked people running all around it, throwing more clothes higher and higher, black smoke billowing from huge pits. "It obviously didn’t occur to the author of these fine lines [Mattogno] that the first of the targeted statements didn’t contain a claim that Cymlich positively knew the details of the burning whose smell he noticed, the argument rather being that the witness noticed this smell and assumed (based on what he had learned about the place and his own conjectures) that the smell was coming from the burning of corpses in "the pits" at Treblinka extermination camp." Well, tell us where all the Jews went if they didn't die. After all, there has to be train schedules, communication between the military and the SS, camp commanders, guards, etc. Give us something to look at and we can start to take "revisionism" seriously. Nothing specific about the methods of mass killing, and as concerns the "pit furnaces", my statement is spot-on also regarding the rabbit's second Cymlich quote: based on what he had learned (from foreman Ickiewicz and during the short time when he looked at "black smoke billowing from huge pits" and "smelled the terrible odor of burning human bodies") and on his own conjectures, Cymlich assumed that the burning was done in "pit furnaces", and that when looking at T2 he was looking at "pit furnaces". Yet all he knew was "that the corpses were completely burned". The particulars of what he thought were "pit furnaces" were unknown to him. Still, he didn’t get it all wrong when he assumed that the burning was done in "pit furnaces". The furnaces of the third phase did have a pit underneath. However, they were not what he had briefly seen and smelled in August 1942. Dead silence from the rabbit. I guess I need to get used to this. Every time I ask for some proof of the whole "transit camp" theory I get the "We don't need to give you proof, we disproved the gas chambers" or I get "We haven't gotten around to it but it's coming." It's a little ridiculous to offer an alternate theory if you don't have the proof to back it up. RM: Cymlich assumed that the burning was done in "pit furnaces", and that when looking at T2 he was looking at "pit furnaces". Yet all he knew was "that the corpses were completely burned". The particulars of what he thought were "pit furnaces" were unknown to him. Krzepicki: They started burning the dead in the graves and we used to dump into the graves old clothes, valises, and trash which we had picked up in the yard. These articles were set on fire and kept on burning day and night, filling the camp with billows of smoke and the odor of burning flesh. Weinstein: Several minutes later, when the doors were opened, we were struck by the sickening stench of burning flesh. [...] Three hundred yards to our right, just inside the fence, there were three deep pits where they burned the corpses. J. Kelly, can I suggest that you sign up to the codoh forum and ask there about the transit camp theory. There's a poster who goes by the name of Hannover who'll surely be able to answer all your questions. So rabbit read the sentence but nevertheless produced his previous junk? That’s even more embarrassing for him. On the contrary, I’m very fond of Krzepicki and Weinstein as witnesses to first phase cremation procedures at T2. And I’m grateful to the rabbit for having added Cymlich (by pointing out his observations in August 1942) as a third witness to these procedures. I’m very fond of Krzepicki and Weinstein as witnesses to first phase cremation procedures at T2. Sure, once you've twisted their words to suit your needs. And I’m grateful to the rabbit for having added Cymlich (by pointing out his observations in August 1942) as a third witness to these procedures. Your colleague quoted Kues quoting that part of Cymlich's memoirs in a post you cite not only in this post, but also in your waffling about early reports on Treblinka cremations in the Manifesto [p.445, fn.29]. But I'm grateful for the further confirmation that you don't read your sources properly. You know, it's been awhile since I've been to CODOH. I'm actually a member, though I'm not sure I remember my login. "J. Kelly, can I suggest that you sign up to the codoh forum and ask there about the transit camp theory. There's a poster who goes by the name of Hannover who'll surely be able to answer all your questions." Hannover can hardly form a coherent sentence, He's nearly as retarded as you. on "Pit Furnaces': It is very obvious that substantial burning of bodies in the pits as a space saving measure was underway at the time of his arrival. It is not a stretch to state authoritatively that he made an exaggerated assumption based on the sight of smoke and fire billowing form most of the mass graves. It's the obvious solution here. «I’m very fond of Krzepicki and Weinstein as witnesses to first phase cremation procedures at T2. And how exactly am I supposed to have "twisted their words" to serve what needs exactly? «And I’m grateful to the rabbit for having added Cymlich (by pointing out his observations in August 1942) as a third witness to these procedures. I only mentioned Krzepicki and Weinstein because Sergey focuses on them, but if the rabbit thinks I should have included Cymlich in the list, that's fine with me. Funny that Kues expressly mentioned Glazar and Rajchman but Mattogno ignored both of them, by the way. I did go back CODOH. There's a lot of backslapping going on over the fact they found about 20 Polish Jews who did wind up in the Soviet Union. I don't doubt that some Jews bound for one of the Death Camps were instead transferred to other camps. But, that in no way proves that the ARC were transit camps. That is too many missing men, women and children. If any of those 20 Polish Jews passed Belzec, Sobibór, Treblinka or Chelmno before reaching the Soviet Union, whoever can provide the evidence may respond to my Challenge to Supporters of the Revisionist Transit Camp Theory. Otherwise I can give them many more Polish Jews who ended up in Belorussia, without that meaning a thing. It is very telling that no one has cashed in on your challenge. Hey, I really like the new set up. Thanks for your feedback! We're are still fine tuning things. And if you or any other readers have any other suggestion, please share it with us. Alright, it is time to set the record straight so that everyone can be happy. This brings us to Mattogno's real distortion here. In response to Myer's claim that the smell that Cymlich described was the cremation of bodies, he claims this is false because the cremations started at the end of Feb/ beginning of March in 1943. It becomes clear that he ignores the fact that Myers mentioned that Cymlich wrote this in 1943, consistent with official histiography, which says that the cremations started in 1943. Now here is where the bastion of irony and parody is located. He also critizes Cymlich's account of seeing burning pits by claiming that he was located in Treblinka 1(which was a labour camp) , and the couldn't have possibly seen what was going at Treblinka 2. If Black Rabbit's claim that the passage where Cymlich describes seeing burning puts, is from 1942, what emerges from this is that Mattogno ignored this passage or was maybe unaware of it. However as demonstrated already ,the cremations only started in 1943! The irony is that Mattogno attacked Cymlich's account , but for the wrong reasons. The above is only accurate if I have not misunderstand anything regarding this matter. Another thing. It appears that there is no agreement on when the cremations began, because the USHMM site claims that I began on fall 1942, yet Yitzhak Arad claims that it began at the end of 1942 or somewhere in the range of November 1942 to early March 1943. I think it is possible that the USHMM site confused the experiments of cremations taking place at Chelmno with cremations already taking place at Treblinka in the fall of 1942. The mention of these experiments can be found in Arad's book. I actually made an error, as I realized that Nov 1942 actually refers to the start of cremations in Belzec in Arad's book. Thus, Glazer's claim that the burning of corpses started in the Winter of 1942 condradicts the official narrative put out by Arad, where he claims that Himmlers was very dissappointed when he discovered that the 700000 or more corpses have not been burned yet. It is absolutely clear that the official narrative is that the burnings started at the end of Feb 1943/beginning of1943z with which Glazer's and Kortyncki's account are incompatible with. As an update to my original comment, there was apparently cremation testing done in the Winter of 1942, which is without doubt(if it did indeed occur) the same cremations that Glazer and Kortyncki mentioned. This is all according to the book "The Holocaust: Memory and History". I take my original comment on their testimonies being incompatible back. However another problem arises. Interestingly one of the authors of the book contests that claim that Himmler ever visited the camp. In effect, the author is challenging the notion that Himmler ever visited the camp before any body cremation started, contrary to other historians who claim he visited the camp in 1943 before any cremations started! On another note, they do mention Otto Horn's statement about a cremation testing that apparently took place somewhere around that time, yet it is not made clear when this cremation test that Otto Horn mentions was done and the author the makes the assumption that it was done in the Winter of 1942 and not in 1943. Does anyone know anything about this matter? Update: According to the book : SS of Treblinka by Ian Baxter they have been exhuming and burning bodies at Treblinka since July 1942! Thinker M, the early cremations likely took place in the 'Lazarett' where weaker prisoners were shot on arrival (or working prisoners disposed of after becoming exhausted). Also, some sources IIRC mention cremations in the context of cleaning up Treblinka II after the 'breakdown' under Eberl in late August 1941. Glazar's testimony is also compatible with earlier experiments/trials that were abandoned; he could also simply have misremembered. The majority of sources concur on early 1943 as the start of *sustained* mass cremation. 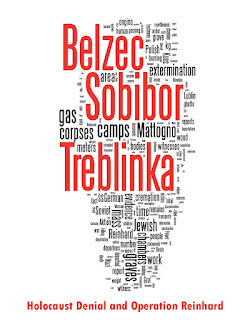 One can talk of official narratives plural to describe the Lukaszkiewicz investigation report's reconstruction of the narrative of Treblinka, as well as the West German trial judgement's reconstructions of the narrative of Treblinka, and anything in the Demjanjuk trial judgement's reconstruction of the course of events. Since historians can easily produce narratives without official stamps of approval, the term 'official narrative' is largely irrelevant - you just cited the amateur historian Ian Baxter, who is not even an academic. Yes, that is exactly what I started to realize later on after researching this aspect, that there is no official narrative that the burnings started only in 1943. I was under the assumption that there was an official narrative , but I was clearly mistaken on the whole issue. Thank you for clarifying. So, we now have it that some cremations started in the fall of 1942 but the mass cremations started only in 1943 and the goal of these were to erase all traces of any wrong doing. This version makes perfect sense to me.